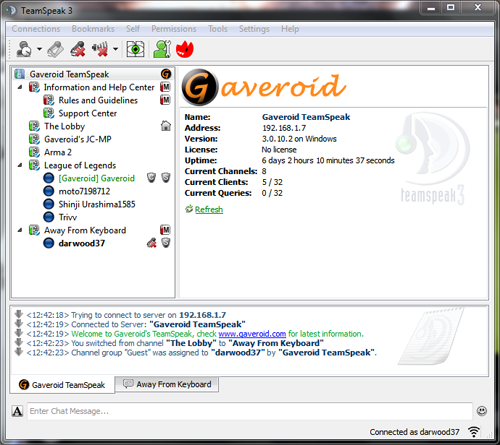 The Gaveroid.com official TeamSpeak server. Thank you for coming along! Here’s some information you should know: Please read our Rules and Guidelines, as you must follow them. Just select the spacer, and they will pop-up. Thank you for reading, and we hope you have a good time! If you have any questions, hop over to the Support Center channel, and we will try to help you!